What To Do With Your Partner In Venice? Venice is the city whose magic can be felt in the air. The stillness of the canals, together with the colorful imposing palaces and churches manage to take you back in time. Venice has a unique vibe to it, which will transform every holiday into a fantastic one. This is the go-to destination for couples in particular since Venice is the perfect background for a romantic getaway. If you have acknowledged this, and you’re planning a Venetian escape with your beloved, keep on reading. Venetian cuisine is definitely unique and savory. Here you can enjoy delicious specialties that you won’t find elsewhere. The locals are known to take real pleasure in enjoying abundant feasts. Such feasts can be enjoyed during the happy hour when bars offer various alternatives of Venetian tapas. Therefore, make sure you put time aside for enjoying a delicious meal in a local that is actually characteristic of the place. This is, without a doubt, one of the first things you ought to do, when in Venice. The presence of the canals plays a significant role in constructing the charm of the city. Therefore, you can pamper your beloved by taking him/her on such a ride. This is, something you cannot repeat at home. Therefore, it’s totally worth the money spent. Ideally, you should schedule your gondola ride after dinner. This way, you can enjoy immersing in a city bathed in moonlight and stillness. It’s true that Venice has some unique traditions and sightseeing points that might be compulsory for every traveler, uncovering the city without a map, and without keeping track of time is the romantic way of visiting Venice. This is a city that offers so much. Discovering the hidden paths of the city may turn out being even more enjoyable than visiting the famous Saint Mark’s Piazza, which is usually overcrowded. Admire the unique architecture of the buildings that are a mere reflection of the glorious past of the city, and don’t feel hesitant to heading towards narrow, less crowded streets. This way, you can discover the Venetian charm at the side of your loved one. Theatre La Feniceis acknowledged as one of the most popular opera houses. Therefore, going to the opera is the perfect plan you wish to enjoy a sophisticated evening on the side of your partner, the Italian way. What About Airport Transfers in Venice? 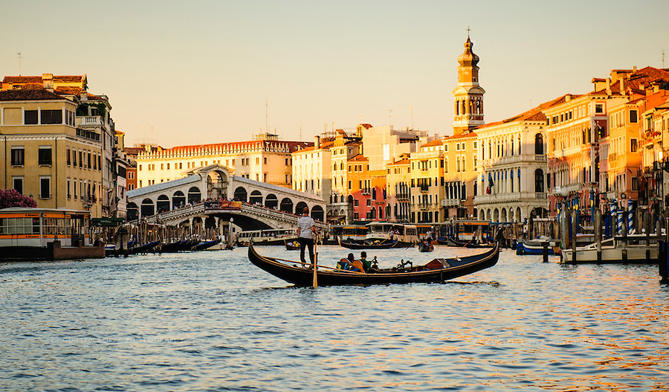 Even though getting lost in a city such as Venice sounds like the ultimate definition a romantic getaway, getting lost with your luggage, or failing to get the right transportation in order to reach your accommodation is far from being the ideal scenario. Therefore, it’s best to book your airport transfers in Venice and have a professional driver take you to your accommodation. By doing so, you won’t have to worry about a thing. It only means that you’ll get the chance to enjoy your vacation to the fullest!